Describe what the batch processing feature is. Comfortably use the batch processing feature. A batch job run to process batch which uses API Dynamic Switch where incoming data goes automatically to be processed as synchronous, batch or bulk. 1. What is batch processing? 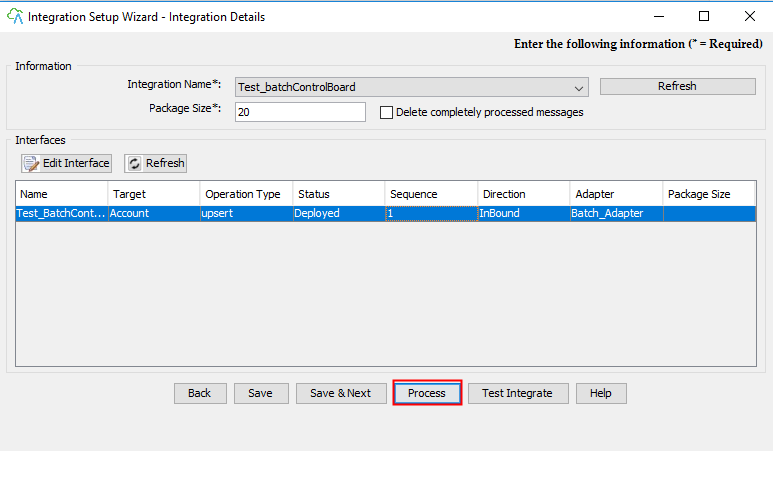 Batch Processing uses for running batch job. It has more capability than synchronous and you can check job monitoring. The Records have more than 200 but less than 5000, so we use with batch processing. It can store many records in one batch, and you can set time interval in batch processing scheduler of Skyvva to run anytime that you want. Batch Processing has some relate field as “Use Auto-Switch Mode”. This is new feature in skyvva, it can run as manually, batch and bulk with agent automatic switch Skyvva API. It based on number of records in IntegrateMaxSize, IntegrateBatchMaxSize. The default of IntegrateMaxSize is 200 records and IntegrateBatchMaxSize is 5000 records, but you can change the value that you want to run it. Maximum number of record than Skyvva integration agent can integrate using method integrate(). Default value is 200. If the number of record to be integrate is bigger than the value, agent will switch the API mode automatically. 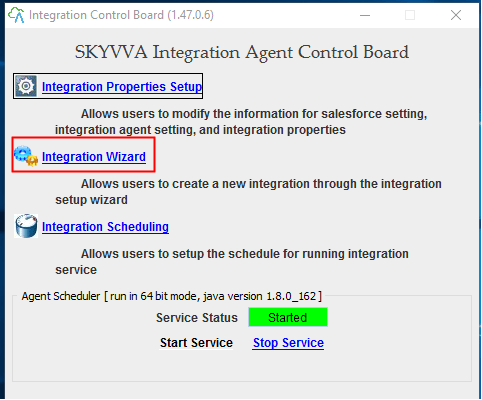 Maximum number of record that Skyvva integration agent can integration using integration using method integrateBatch(). Default value is 5000. If number of record to be integrate is bigger than this value, agent will switch to bulk API method automatically. We should create integration. Please this tutorial to create integration-> What is an integration and how to create it? Next step is to create interface. Please this tutorial to create interface-> What is an interface and how to create it? We should do mapping using SKYVVA graphical tool. 2. How to create batch using “Use Auto-Switch Mode”? Auto-switch mode is data processing mode. To check this mode on, we should open our created interface. 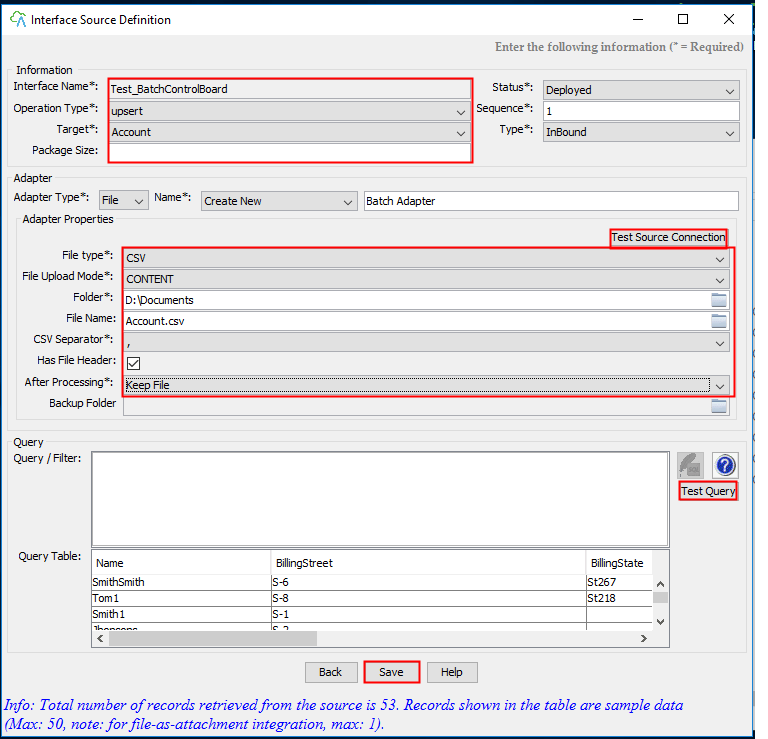 follow the given step to set value on IntegrateMaxSize, IntegrateBatchMaxSize. We have to click on Edit button. Inbound section-> tick Use Auto-Switch Mode. Note: When you fill Integrate Batch max Size and Integrate Max Size as screen above, it means that after you click Use Auto Switch Mode, so it will run manually less than 51 records, and it run as batch between 51 to 200 records. 3. How to load csv file using agent. Many network and server monitoring solutions use what are called “Agents” to get values from the machines they are monitoring. Agents are programs that run on the remote machines and communicate with the main monitoring system. Some merchant try to hide the fact that they use Agents. They will try to deliver things like they “deploy” to remote systems or use other words, but it all compress to installing custom software on the remote machines. 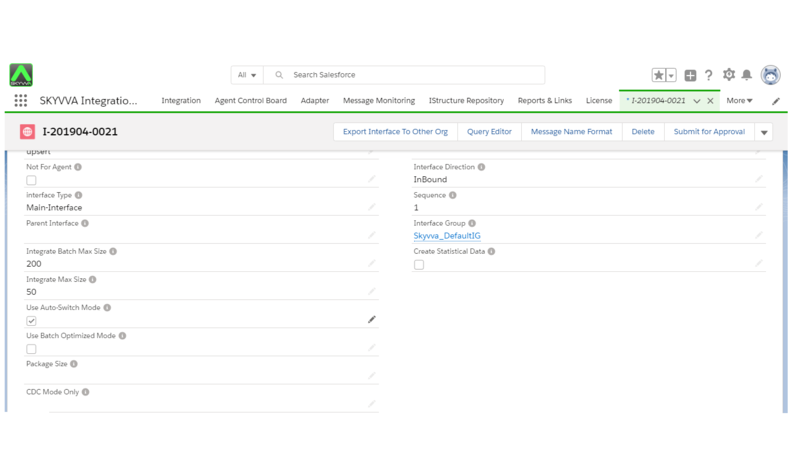 Click on Agent UI to run->Click Integration Wizard. Select Properties that log to salesforce. Chose Integration Name and Create Adapter because it doesn’t have adapter yet->Choose adapter type is File->Fill adapter name>Fill Folder location->Fill File Name->Click Save button->Select Interface->Click Process button. click on Process Button, it will show message. The message is Process completed. Now you can check result on salesforce.